Anxiety is an epidemic that’s common throughout the world. What makes it so much worse is that people who suffer from it, do so in silence. It negatively affects their day to day lives yet they continue to suffer through it without reaching for help or trying to figure out the root of the problem in order to overcome it. Over 40 million people in America are dealing with anxiety disorders and a very large chunk don’t realize it. They don’t realize how serious their situation is but believe it will get better at some point. Definitely not the right way to go about it, experts will tell you. If you have had or are dealing with an anxiety disorder or think you might be, this 10 part video course could be very useful to you right about now. 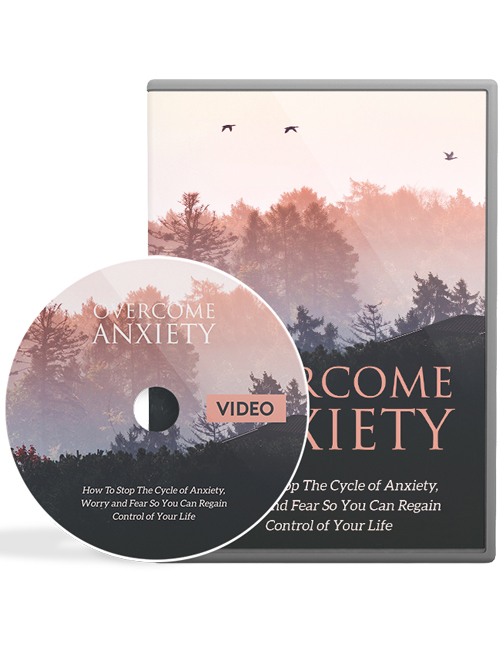 A visual learning course which complements the Overcome Anxiety ebook, you will learn how to get on top of your anxiety disorder and eliminate it from your life. In this course, you’ll learn about the various steps to take, signs that you might be having an anxiety attack, how to overcome it fully, changing up your diet to help you find relief, how to stop anxiety before you get it and much more. Dealing things in private is not the answer. You need to know what the issue is and realize its consequences if you don’t take proper action. Get this course now and kill your anxiety disorder permanently.